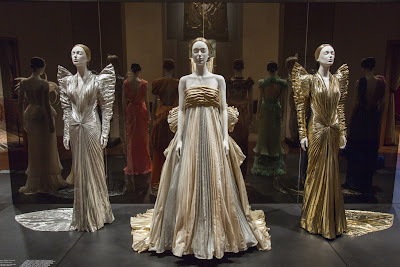 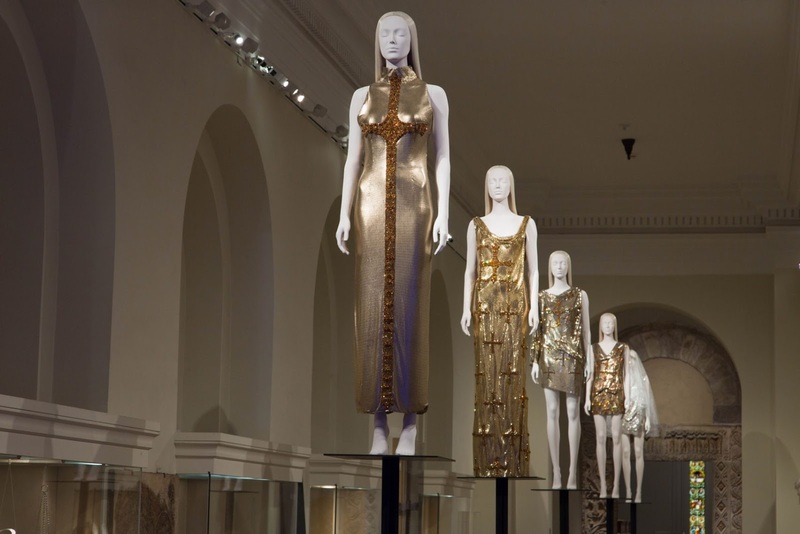 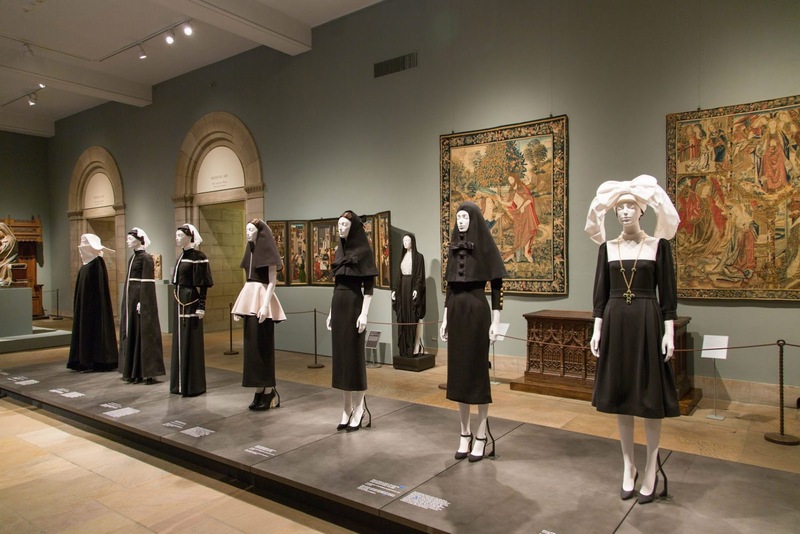 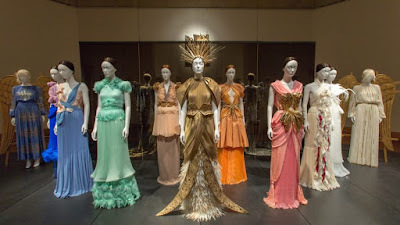 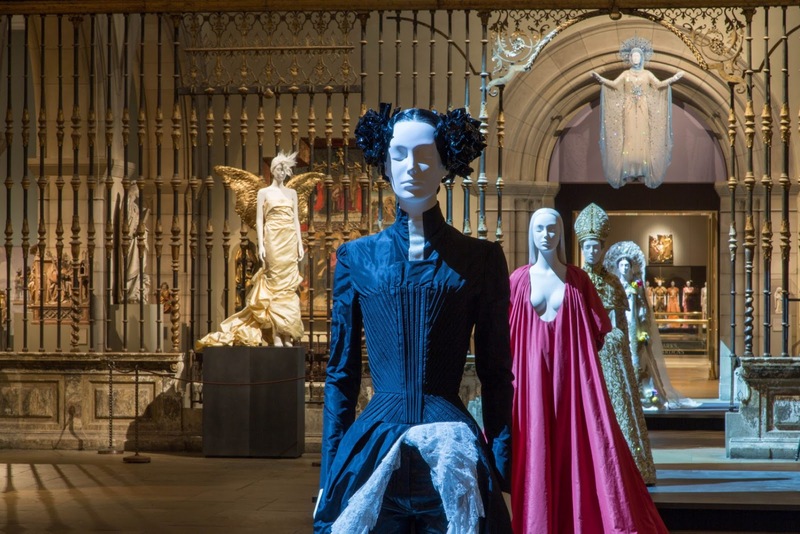 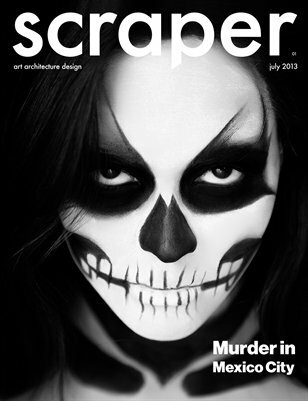 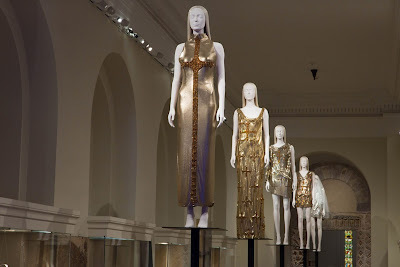 Fashion and the church are examined at the Metropolitan Museum of Art. 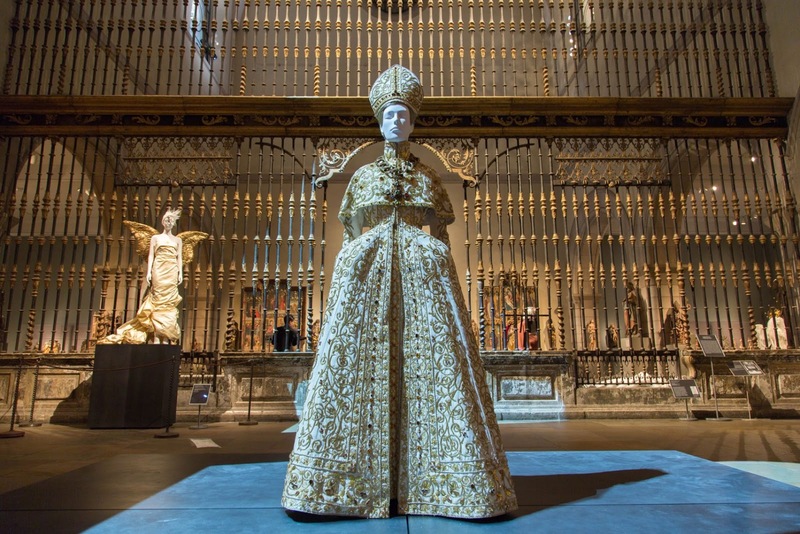 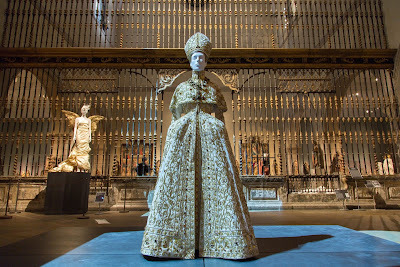 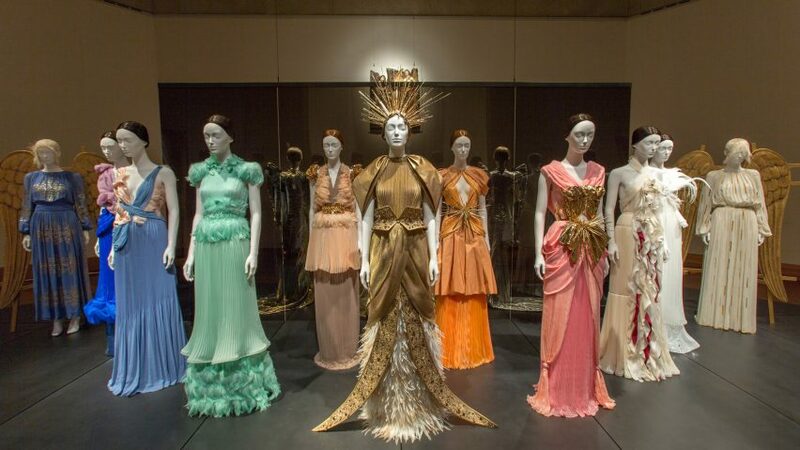 Organized by the museum's Costume Institute in collaboration with the department of Medieval Art, Heavenly Bodies: Fashion and the Catholic Imagination explores how the religion's imagery and symbolism has impacted contemporary haute-couture and ready-to-wear designs. 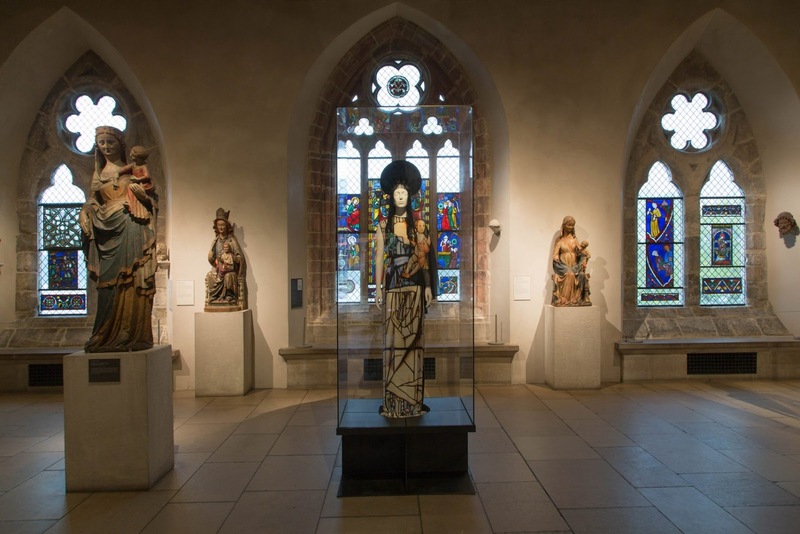 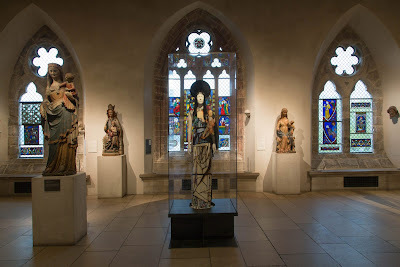 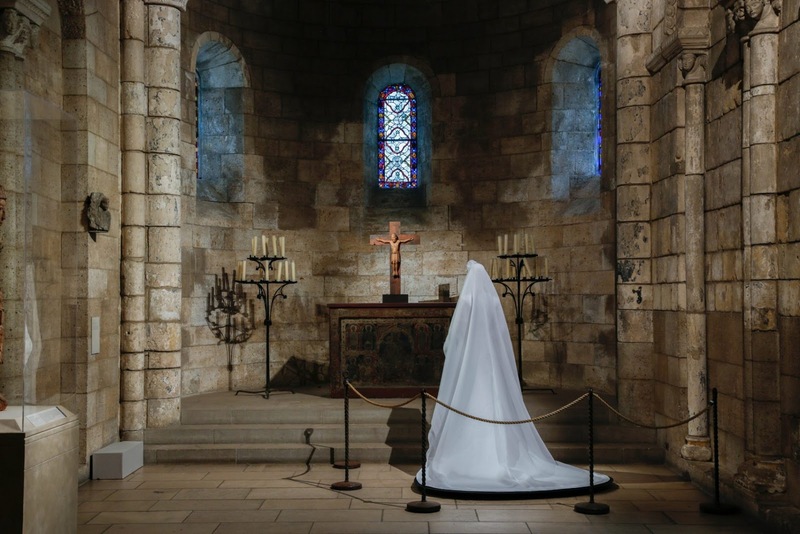 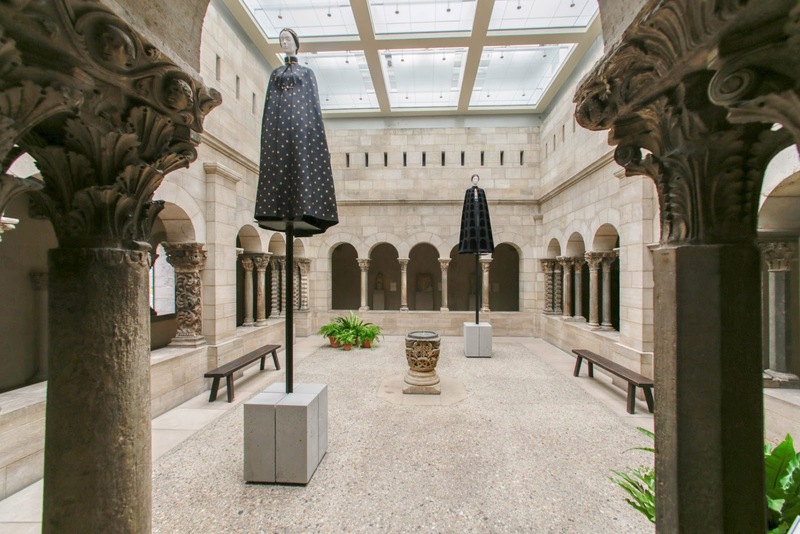 Visitors are invited to make a "pilgrimage" through various sections of the Fifth Avenue building, before traveling to The Met Cloisters at Manhattan's northern tip for the second part. 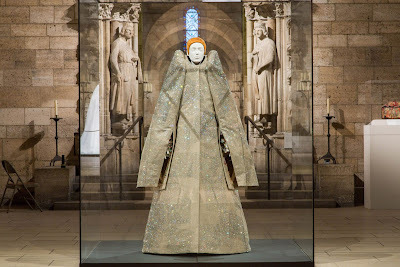 At Fifth Avenue, spread through the Byzantine and Medieval galleries, the garments and ensembles on show represent the opulence and "pageantry" often associated with Catholicism.